I’ve never fished for pike. I’ve never fished in Alaska. After reading a Richard Strolis’ recent blog post, I want to do both. 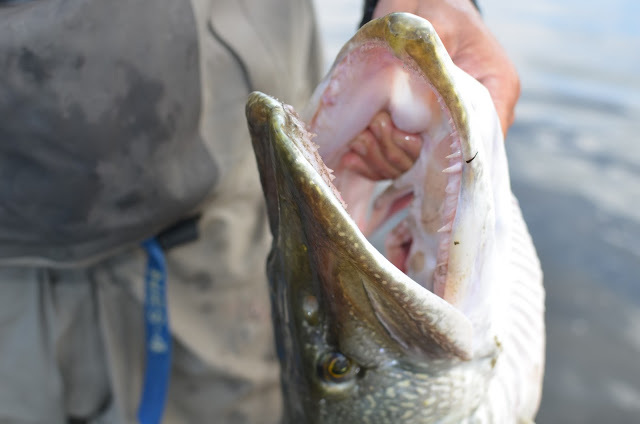 40″ pike? Catching dozens a day? Sign me up. Do You Keep a Fishing Log? You can do it in MA Jo! I've caught them up to 33" here! I'll post about it sometime. Still, I too would like to go there! Would love to do this. I know people catch them ice fishing in MA.I bet you could get them on a fly too here. I've seen a few in the Concord River i think. Maybe they were pickrels.